← Pride: the Great Destroyer of our Relationship with God. 1. It is God’s first will that men be pure in heart, clear in mind, strong in purpose, gentle and content in spirit, poised in judgment, happy in circumstances, and strong and well in body. 2. God does not send disease. It comes through some disobedience of the natural laws of the body, conscious or unconscious, though rarely traceable in full It may come from the Devil, or, because of the break of sin affecting all life. But always through that open door of disobedience to the laws of the body. 3. Christ heals men’s bodies to-day by His own direct supernatural touch, sometimes through the physician and the use of means, some times without means, sometimes when means are confessedly powerless, and sometimes overcoming the unwise use of means. The Holy Spirit’s leading is the touchstone. 4. In healing Christ is always reaching in for the far greater thing, the healing of the spirit, the life. 5. There is sometimes a waiting time, after the conditions are met, before the full healing comes. There is a disciplinary side in bodily suffering, but the healing comes as quickly as the lesson is learned. 6. The Devil heals men’s bodies, within sharply defined limits, under disguise, that he may get and tighten his hold of man. He bitterly opposes healing through Christ’s supernatural touch. This is particularly true regarding those that have the gift of leadership. 7. The conditions for Christ’s healing are the same as for being saved. Trust him fully as your Saviour and Master. Then go to Him for whatever you need, always seeking the Holy Spirit’s guidance. Christ will meet every need of a man’s life. And He will meet it eagerly and to the full. If we don’t have all we need the trouble isn’t with the hand that gives but the hand that takes. No man’s hand has ever yet reached up to take as much as the Pierced Hand is reaching down to give. But giving is a fine art, so as not to hurt in trying to help. And the taking needs skill, too, though the simplest may take all he needs. Skill in taking is chiefly skill of the heart. Teaching is rare. Matured rounded-out teaching is yet more rare. And the chief need to-day, in the bustle and dust of much stirring about, is teaching, simple, clear, full, poised teaching. Healing is one of the tangled subjects. Two others keep it close company, so far as being tangled is concerned, namely, holiness, and the return of Christ. It is easy to get warped unmatured partial statements, quite honestly made, on these subjects. The direct preparation of this little book has taken eleven years, the indirect runs further back. I didn’t set out to write a book. I felt the need of getting my own feet on a difficult bit of pavement. I read and watched and prayed to understand for myself. And now the substance of it is given to others, with a prayer that it may, possibly, help them a little as it has helped me. Two books have been constantly studied: the Book of God, and the Book of Life. These two go together. The Book of God is written out of life, under the Holy Spirit’s touch and control. The Book of Life is still being written. It takes a simple skill of habitual reading to understand the first. It takes a careful trained reading habit to read understandingly the second. The Book of God is the teaching book, written out of human experience, and full of illustrations out of life. The Book of Life is the illustration book. There are countless illustrations on every hand of all the teachings of the other book. One wants to read both. They fit together. And the conditions for understanding both are the same, a bent will, an open mind, a prayerful spirit, a keenly observing eye, and the constant practised reading. And so, after these years of study, the little messenger is sent out in Christ’s name. And the one conscious purpose is that it may help some to reach up and take all the Pierced Hand is now reaching down to give. Christ did impossible things, when He was down here. That is, they were impossible to others. He did them. They were things that needed to be done. Men were helped by them. The tug of living was eased, and more. It took power to do them. It took a power more than the natural power men were familiar with. Others didn’t do them. They couldn’t. They didn’t have the power. Christ had the power needed. He did them. He did impossible things. Christ taught. He is commonly accepted as the race’s greatest teacher. Then there was more. He lived what He taught. He lived it first before He taught it. He lived it far more than even He could teach it. There was always a reserve of teaching actually lived back of the teaching taught. But there was more than teaching. Christ did things. He had ideals. His ideals have clean out-idealed the ideals of all others. But there was more than ideals. He brought things to pass in actual life. Men saw and felt and experienced things through His touch, things they needed and needed sorely, but didn’t have till He did them. The distinctive thing about Christ, of course, is that He died. He died as none other did, nor could, nor can. The most outstanding thing about His life is the end of it. The knot on the end of the thread of His life, that gathered it all up in one, is His death. But apart from that, the outstanding thing is that Christ did impossible things. Men admire and worship the man who can do outstanding things, actually bring them to pass. Christ did outstanding things. He fed the hungry thousands with a few scanty loaves. How they’d like to have Him in some parts of Europe just now, if His activities could be restricted within desired limits. He stilled that sudden Galilean storm that blanched the bronzed cheeks of those hardened sailors, stilled it with a word; and stilled it into a great calm. He helped Peter pay his taxes, in a very unusual way. That has a very practical sound to-day. He robbed the ever-yawning grave of its hopeless victims. Of all things Christ did one stands out biggest. He healed men’s bodies of sickness and disease. The world was sick when Christ was here. There was no science of bodily healing. There was a natural healing. The Jews have been famous through the centuries for their rare skill in healing through simple remedies. But, characteristically, dominantly, the race was sick. Christ healed men’s bodies. This was the thing that first drew the crowds in notable numbers. That fact itself tells how acute things were in this regard. The need was so sore, and so general, that once the word went out, it spread like a blessed wild-fire. And the crowds came from everywhere, and they came a-crowding so thick as to affect seriously His movements. There are thirty-three instances given of miracles done by Christ. And twenty-eight of them have to do with the body. Twenty-four of them were miracles of healing (including now the three cases of death). Four others have to do with supplying bodily needs. There are sixteen summaries given of His various activities, including bodily healing. If one runs over these summaries the first-flush, rough impression comes that the total of those healed probably ran into some several thousands. People came in throngs. They came from all the surrounding countries, as far away as Tyre and the Upper Mediterranean. There are twenty-four individual instances of healing, given in the four Gospels. These become of intense interest for what they tell of Christ’s healing ministry. Of the twenty-four two would be classed as acute cases. The other twenty-two are all chronic cases, incurables, extreme hopeless incorrigibles. Six (possibly eight) were demon-possessed, reckoned quite incurable. Three were actually dead. The thirteen others were distinctly hopeless incurables. The healing power went to the last degree of human need. The humanly impossible yielded to Christ’s touch every time. There were no exceptions so far as the soreness of the need was concerned. The story told is quite explicit on this point. Here is the list of diseases specifically named — epilepsy, dropsy, deaf and dumb, palsy or paralysis, chronic haemorrhage, demon-possession, leprosy, withered hand (i.e., paralysis), blind, infirmities (possibly paralysis), restoration of ear cut off, and even the dead, three times named in three distinct stages. There is one outstanding passage that touches the extreme of need which Christ’s healing covered. Matthew says “There came unto Him great multitudes, having with them the lame, blind, dumb, maimed, and many others, and cast them down at His feet; and He healed them” (Matthew 15:30) It is a significant passage. It was clearly an unusual crowd of helpless incurables, brought by their kinsfolk and friends and neighbours. What a sight ! That word “maimed” catches one’s eye. It occurs twice. The word underneath has two meanings, crooked is one, and mutilated the other. Its use in Mark 9:43 clearly means a limb quite gone. The word under “lame” here is also used in the Mark passage for a limb cut off. The meaning intended here is quite clear. The healing went to the extent of restoring a lost portion of the body, a limb or an arm or some other part. The extent of healing as regards the need is made quite clear, and is as sweeping as clear. There were no exceptions so far as need went. The extent of Christ’s power to heal is put in as sweeping language. His power always covered fully the man’s need, whatever that chanced to be. There was simply no limit. His healing met every need, and met it fully. It could not have been greater. Three words can be used: Christ healed instantly, perfectly, and permanently. The extent of the power at work is as striking as the sweep of disease covered. There’s a bubbling-over exuberance, an overflowing abundance. The crowds came to know that if they would “only touch the border of His garment” they would know the healing power in their body. It says “power came forth from Him,” as though it breathed out of His very presence. The ease of action, the abundance of power, and the frequency and extent of Christ’s healing power stand in striking contrast to the Old Testament miracles. And the effect on the crowds itself revealed the touch of God. “They glorified” God. There was an exuberant singing of praise to such a God. Even the curious crowds that came seeking sensation found a sort that sent them away with a hush in their hearts, and praises to God on their lips. And, it is striking to note, that Christ gave this power to His disciples, unschooled and undisciplined as they were, yet devoted to Him. Repeatedly they were sent out into the villages and country districts. And they returned with ringing voices and shining faces, telling of the power that had attended their activity. And usually special emphasis is laid on healing, and on the casting out of evil spirits. It becomes of intense interest to note why Christ healed, so far as the Gospel record goes. It is never intimated that He did it to let people know that He could. He never used power simply to let men see He had it. It is never suggested that He did mighty works to prove His distinctive personality, who He was. This simply is not referred to. Incidentally it is made clear that He did have the exceptional power, and that He was the Son of God in the distinctive sense that was true of no other. Even when John, in the dark of the prison cell, puzzled to know why Christ didn’t fill out the official side of the Messiah’s task, as well as the personal side, even to him Christ simply points out what was being done as evidence that the old prophetic picture was being lived out. He comforts the lone prison vigil with word that John had been true. And that there was a waiting time ahead for both of them. No, Christ healed men because He couldn’t help it. Their sore need, so sore, tugged desperately at His heart. He healed men because they needed healing. This stands out first and foremost. There is more, a big more, but in the Gospel narratives it is always incidental. It is true, broadly, as a principle, that miracles, the supernatural, came into action, throughout Scripture, to meet some emergency. But, when it comes to the immediate reason why Christ healed, as the narrative runs, it was to meet the personal need of suffering men and women. There is a strong, tender word constantly on His lips, and spoken of Himself, “compassion.” It means to have the heart tenderly drawn out by need. It really means to suffer in heart because of the suffering of others. This gives the “why” of Christ’s healing. One key passage may be given as an index to the others, “He had compassion on them, and healed their sick” (Matthew 14:14; see also 15:22; 20:34; 9:36 with 10:1; Mark 1:41; 6:34; 8:2; Luke 7:13-15). Christ has not changed. His power is at our fingertips now. No need need go unsupplied, if He may have His way. Is He willing to do it? Does He think it wise to? Is it part of His plan for us at the present time . There is need enough surely, so far as that goes. And surely that must go far with God. The race is sick to-day. Oh! there is more health than disease, more strength than weakness, more life than death. This is true. Yet the race is sick and diseased. That fact pushes its ugly self in at every turn. And there is a science of bodily healing to day. It is quite modern. It was non-existent up until recent decades. It is a real science, properly so called. It is based on actual knowledge of the human body, and of substances found in nature, and of their action on the body. It is based upon a vast accumulation of experience, and of skill. It is accurately called a science, really a rare combination of science and of art, acquired skill in action. Of course, there arc poor preachers, and poor lawyers, and poor physicians. The personal equation affects things enormously here, as everywhere. There is confessedly a vast amount of guesswork and of experimenting, at human expense of pain and suffering, and worse. Yet there is a real science of healing. There is a not-good professional pride here, as in all professional circles. And, say it very gently, that certainly doesn’t help any one. And there is an unhappy tendency, sharply marked and growing, toward a commercialism in all the noble professions. Yet the fact stands out blessedly that there is a science of bodily healing. And its gracious ministrations among men, through the years, in actual healing, and in relieving, is clear beyond words to describe or imagination to picture. It’s a striking fact that some of the most prominent leaders in this notable science have shown certain distinct tendencies, away from drugs and the knife, and toward advice about the intelligent care of the body. A long list might be given of quotations from the most eminent of physicians, in highest position, in England and America and the Continent, against the use of drugs, and concerning the actual injuries inflicted by guesswork and experiment. These quotations magnify the place of nature in healing, through means, aside from remedies, and often overcoming the drugs given. There is an emphasis by these leaders on intelligence in selection of foods, a wise obedience to bodily laws, and on the distinct bearing of the mental and spirit mood and attitude on bodily conditions. And, it should be noted with strong emphasis, that, quite apart from any direct action on God ‘s part, one’s mental attitude has incalculable influence on the body. It affects the bodily conditions greatly at all times, and in disease and times of crisis it is pretty apt to be the decisive factor. Fear, the fear that’s afraid, opens the door to disease. It actually creates poisons in one’s body. A simple heart-trust in God, and His goodness, with the confident atmosphere that he longs with it, actually creates healthy conditions in the body. I am not speaking now of the numerous imaginary ills, but of actual physical conditions. Yet, notwithstanding the science of healing, the fact stands out at every corner, pathetically, tragically, that the world is sick, bodily ill. A recent article in a prominent daily, based on carefully compiled statistics, gathered through a period of years, estimated that between two and three millions are continually ill. If such figures could be gathered, clearly enough those actually disturbed by bodily ills run into many, many millions. And this was only for the United States. Is it God’s will to heal our bodies to-day? There’s surely need enough. And He can do it. Will He? Does He want to? Is it in His heart and purpose to do it? May I put the result of many years of study, and of observation in many nations, and of experience, into a single sentence? Then we can dig up and put together a few of the facts that are the underpinning of that sentence. And the simple sentence is this: it is God’s first will for every man that he shall be pure in heart, strong and noble in purpose, gentle in human contact, happy in circumstances, at peace in his inner spirit, and strong and well in body. Now, we are talking about God’s attitude in this matter. And so we naturally turn to God’s Book. It is striking to find out how the other book, the Book of Life, tallies up with, and illustrates, this written book, as of course it would, for the Book of God is a part of the Book of Life. It grew up out of human life. These are our two chief books of study here. It is striking to look, at once, at the original Eden picture of life. For that was God’s own, unhurt by any after touch. There man was in perfect health of body and spirit, living in happy unbroken contact with his God-chosen helpmate, in a garden. There was fulness of life, perfect health, and such a thing as weakness or disease or death quite unknown. The story of Job stands as a sentinel-teacher at the opening of this old Book of God. It stands at the outpost to guard and point the way. There are two parts to the story, Job’s suffering, and the outcome. We have been fed up on the first part, the suffering. The second part, the outcome, has been strangely ignored. Yet it is the bigger part, by all odds. There is suffering indeed, in family, in circumstances, and then in body of a very grievous sort. Then the healing touch comes. And all is changed. Even the ash-heap becomes fragrant now, for it was the gateway to a new life of the spirit, and so to bodily health and vigour, and all else that came. Job’s story is put at the very gateway of God’s Book, with this stirring message: it is God’s will to heal the inner heart and life, and the body. Now note that this blessed trail of healing runs through the older pages of the book unbroken. The teaching trail and the healing trail persist throughout side by side. It is a three-fold healing, protection from actual disease just at hand, the continuance of health and vigour through the unseen touch of God, and the positive healing where disease had actually gotten in. From Eve’s recognition that it was through that touch of her body that weakness was overcome, and she was able to go through what has become the severest bodily test of life, through Abimelech’s experience, and Sarah’s, and Rebekah’s, and Rachel’s, and Moses’ leproused hand, and Miriam’s leproused body, the story runs. And the remarkable experience of the Hebrew people, in Egyptian slavery and as they were being freed, in closest touch with contagious epidemics, reveals the unseen touch of God plainly there, giving unusual bodily vigour under sore physical stress, and protecting from disease. There’s an outstanding bit at the beginning of the training of the new messenger nation. Israel was to become the world’s teacher-nation. And as they enter their long session of schooling special emphasis is laid on God’s eager willingness to heal. It comes first in the flush of the tremendous Red Sea deliverance, when they were peculiarly sensitive to impressions. In the tense plea that they keep in full touch with their Deliverer comes this: “I will put none of the diseases upon thee which I have put upon the Egyptians; for I am the Lord that healeth thee” (Exodus 15:26). There was the triple healing, protection from, the touch of continuous health, the actual healing where disease had gotten in. So the trail persists. Solomon remembers it in the great temple prayer. There’s Elijah and the widow’s only son, and Elisha with another mother’s son, and with Naaman, and Hezekiah’s never-to-be-forgotten story. There’s Asa’s failure to ask for needed healing, with the implied criticism, and Nebuchadnezzar’s recovery from insanity by direct touch, and Jonah’s grateful experience with that shady palm, and his remarkable preservation inside the huge fish. David’s heart repeatedly rings out the same music in a sweetly rhythmic monotone. One bit in particular stands out for the fulness and richness of its tone. Let me paraphrase it to make the meaning in David’s mind a bit closer home. There are five things named. The first is spiritual. The fourth refers to the outer circumstances of one’s life. The other three have distinctly to do with bodily health and vigour. There’s a choice bit from the pen of the wisest man before he became the stupidest of moral fools. The revision gives this, “a tranquil heart is the life of the flesh.” Literally it reads: “the life of the body is a quiet heart.” Our psychological friends would find much here for their side of things. The processes of grace are fascinating. Full touch with God gives the quiet heart that passeth mere mental understanding, and that in turn acts directly on all the bodily functions. And the trail runs eagerly ahead into the future glories never out of the Hebrew vision. The coming Messiah-King is to bring these physical blessings, along with all others. Isaiah’s exultant song of the coming day (in chapter 35) may be taken as an index to the long list. The blind and the deaf, the lame and the dumb, will know all these disabilities completely gone. Rare Ezekiel’s remarkable river, from trickling beginnings to flood, carried exuberant physical life and healing everywhere. And the leaves of the trees it fed would be a healing potion for all. The whole of these older pages makes one rhythmic answer to our question. They reveal plainly and graphically God’s attitude. He not only can heal, but it is His eager wish to do so. His love outruns His power. And always there’s the eager reaching through bodily healing to the deeper, the richer, the spirit healing. The disciplinary side of suffering is plain. It’s a wooing process. Through these silent pleadings and teachings of suffering God reaches in for the deeper. But there’s another bit of this old Book that concerns us people living now, most intimately. These older pages reveal the one unchanging God. He is ever the same. But there’s a book of illustrations of this same God which belongs peculiarly to us. It is distinctively the Church book of the Bible. I refer, of course, to the Book of Acts, with the Epistles woven in, and the Revelation knot on the end. In the Gospels Christ reveals the heart of the Father. He gives the meaning vividly of these Old Testament pages. The Acts continues the story, for all the peoples, of all the world, who come into living touch of heart with Christ. Acts is the sequel to the Gospels. The Gospels are sample pages of the coming Kingdom time, Acts sample pages of the Church time. Each covers a generation of time. In the Gospels the King is pleading for acceptance. His ministry is an eloquent plea. In all He does, He is saying, “this is a bit of what the Kingdom is like.” But the King is rejected, and goes voluntarily to the Cross to give His life out for men, and for their sins. Then something new comes in. It is never spoken of in the Old Testament. It fills in the interregnum until the King shall bring in the Kingdom. The messenger-nation fails. Now, a new group is formed to be God’s new messenger to the race. It is called the Church, the “taken-out” group. It is formed of all believers in Christ, both Jew and non-Jew, by the Holy Spirit’s presence. There’s a natural contrast or comparison between the Gospels and the Acts. The Gospels are Kingdom pages; the Acts the Church book. Acts runs through a generation of time, roughly thirty-three years. Then it breaks abruptly off, as though each generation of the Church should carry on the story, until Christ comes for the next step in His racial program. In the Gospels healing has the foremost place in Christ’s activity. But it does not come into prominence until Christ’s rejection by the leaders is quite clear. There’s over a year of waiting for national acceptance. Then Christ’s official herald is imprisoned. That means Christ’s own rejection. Now, Christ turns to Galilee, unofficial Galilee, despised by the cultured Jerusalem leaders. He begins preaching and teaching and healing the crowds, and training the inner group of disciples. When the national rejection of His Messiah ship is quite clear He turns to the personal side of the Messiah’s work. Healing now takes the prominent place. It is through healing that He first gets the great thronging crowds. In the Acts healing has a distinct place, but on the whole not as prominent a place as in the Gospels. It becomes one feature only of the gracious ministry described, and of the power experienced. It is one feature. It is quite distinct in itself. Yet it becomes one feature with the others. There are five summaries. These indicate that vast crowds experienced healing. All sorts of cases were included, great power clearly in action, and a deep abiding spiritual effect on the people. There are eight individual instances of healing. One would be classed as acute. One was the supernatural protection from a deadly viper. Six are incorrigible incurables: twice lameness from birth, one of forty years standing; once long-standing palsy; twice the dead are brought back to life; and possibly Paul’s recovery from stoning would be included with this last item. There are two outstanding centres of healing activity, Jerusalem the Jew centre, and Ephesus the Galilean or non-Jewish centre. The Jerusalem activity is at the beginning, and the Ephesus activity distinctly toward the close, of the Acts period. At Jerusalem great crowds are healed, great healing power is in evidence, and great spiritual blessing is connected with the healing. At Ephesus the activity runs through two full years. The power in evidence is quite unusual, to a very marked degree. And the spiritual power in men’s lives is quite pronounced. Ephesus was the strategic center of Asia Minor. The message preached, and the power revealed there, went out to all parts of Asia Minor, and across the seas in every direction. It is striking to mark that healing has greater prominence in the record, in the space given it, at the beginning of Acts. Practically it tallies with the story of the Gospels. It continues a distinct part of the activity clear to the abrupt ending of the Acts. But one is conscious that it becomes one feature with others. The absorbing thing here is the preaching of the crucified risen Christ. The healing becomes one manifestation with others of the power of the risen Christ. Yet, there is no suggestion of the lessening of the power in healing, nor of minimising its place. For it is toward the close of the Acts period that the unusual story comes of the young man who fell down dead out of the window at Troas, and is restored to life. And the outstanding Ephesus campaign is likewise toward the close. It is merely a shift of proportionate emphasis. The Epistles fit into the pages of Acts, and are most intelligently read and understood as they are read in that way. They run side by side with Acts, with Revelation coming a bit later as the knot on the end of the whole. Corinth becomes the strategic centre of European activity, as Ephesus is the strategic centre of the Asiatic. And as Ephesus had a special message of healing activity, Corinth sends out a special message of healing teaching. Much space is given to the active ministry of the whole group of disciples in Corinth. It was clearly an active church centre, with the power of the Holy Spirit distinctly marked. Distinct prominence is given to teaching about healing. Clearly healing was a blessed commonplace in the experience of these Corinthian Christians. And many among them had marked power in this regard in ministering to those in bodily suffering. Healing is spoken of as one of the nine or more special gifts of the Holy Spirit. It was one of the gifts. There were other gifts. It was given to some, but not to all. Here is the same sense of proportionate emphasis as in the Book of Acts. It was a blessed gift, one of several. Paul is putting special emphasis on poise in teaching, keeping things well balanced, in due proportion. Toward the close of this Acts-Paul period there are distinct touches of some not healed. Paul’s thorn comes in here. These will come in for treatment in the story of “God’s School of Suffering,” touching the disciplinary side of suffering. The thing to mark just now is that they in no way change or affect the main teaching about healing. They simply give light to keep things in poise. From of old, a common teaching has been that miracles ceased long ago, and are not to be expected. And this is quoted regarding healing. This Book of Acts, with the interwoven Epistles, gives the clear answer. The interwoven Acts and Epistles make up the Church book, indicating what is meant to be the blessed commonplace clear to the end of the Church period. From the outer non-Jewish world, where these letters mostly take us, there is a quiet turn back to things at the Jew centre. The first Bishop of Jerusalem reveals the custom and the teaching that continued in the old mother Church. There was plainly no lessening of the teaching there, nor of the blessed experience (James 5:13-15). Then the circle of this wondrous old twin-book of God swings back to the starting point. There ‘s a garden at both ends, Genesis and Revelation. God’s ideal persists clear to the end, and becomes real, actual. The tree of life has become a grove of trees. The garden has become a garden-city. All the fine simplicity of the country and the garden is coupled with all the fine true culture for which the city characteristically stands. And here is the same winsome touch regarding our bodies. Sickness and pain, tears and death, mourning and crying, these are gone, clean worn out. The trees of life bear monthly harvests, and their leaves, like Ezekiel’s, are for healing (Revelation 21:4; 22: 1-2). All this is simply giving us a picture of God, a portrait in oil, in warm living colours. And that is the one point of the question we’re talking about. What sort of a God is He? What is He willing to do? It is not a question of power, but of His willingness, His purpose. Not can He but will He? The picture in the Old Testament is quite enough to answer the question. The warmer living colours of a Man actually living in touch, underscores the answer in bright red colouring. The tenderness, the sympathetic heart, the eagerness of God, takes hold of one’s heart with a grip as His Only-Begotten actually becomes one of us. And so we come back to that sentence put in at the first. It is God’s first will that we should be pure in heart, gripped by a nobly strong purpose, poised in our understanding of things, humanly gentle in our personal contacts, at sweet peace within, content in circumstances, and, hearty and healthy in our bodies. But note that word “first,” God’s first will. That’s a doorway into God’s schoolroom. Christ does heal to-day. It is His eager will to do so, and to do it now. One may reach out his hand. and have what he needs of this sort, now as he is reading, so far as God’s side is concerned. If there be any delay, it need not be longer than it takes for a man to come into simple full touch of heart and life. In healing Christ is thinking of two things, always two. The first presses in most with us, if we ‘re needing it, maybe needing it sorely. The second is really the thing of greater meaning. Christ wants to heal our bodies. He wants to heal our spirits, our lives, our very selves. He wants to do the first, but in such a way as to include the greater thing, the second. The first is delayed sometimes, often times, until we are willing for the second, too. But the length of the delay is fixed by us. Christ eagerly reaches out to do both for each of us now. There is one exception to be noted in all this teaching. We are never promised immunity from bodily death. There are the three instances in the Gospels of the dead restored, and two, possibly a third, in the Acts. Yet, the plain teaching throughout does not include this. A bit of the promise definitely made is, that through the touch of Christ on the body, the full span of natural life will be filled out. So far as death itself is concerned, the resurrection of our bodies at some future day is plainly taught for those believers who do not live until Christ’s return. The teaching does not go beyond these two items. Christ was a man of power, and is. This is His distinctive characteristic. It was power under the driving control of love, and is. The religion of Christ is a religion of power. This is its outstanding feature. It was through this that it won its way in the beginning, in the bitter competition with old entrenched religions. It was this that blazed its pioneer way into every nation and civilization where it has gone. It is a power clearly above any power men were accustomed to. It is distinctly more and greater than men had known. It rose above power working commonly through familiar natural channels. And so it is called supernatural power. It was plainly claimed to be the power of Christ Himself, and of God back of and through Christ, at work through natural channels. And always it came into play to help men. The help was sorely needed. Men were powerless to do what was needed. This more-than-natural power of Christ, and of the religion of Christ, met men’s sore need, and met it with a strange glad fulness. It was this distinctive trait that opened the doors and hearts and lives where the power was felt and seen. Christianity is not a code of ethics, simply. It is that, plainly. It leaves all other codes trailing behind. Indeed there is pretty clear evidence that all these other codes sprang out of the mother roots of Christianity. But, by comparison, this is merely a by-product, a blessed by-product. The distinctive thing is that Christianity is a religion of supernatural power. It is not merely a system of culture. Very clearly it is that. The Holy Spirit’s sway in a life brings the rarest culture of character and conduct. It leads to the truest culture of mind and personality and life. And this multiplied in many individual lives makes a rarely cultured community. Its culture is the real thing, culture of heart and motive and behaviour and outreach to others. It clean out-cultures all other cultures, familiar to man. Its culture, at root, planted and fertilized all real culture wherever and whenever found. The evidence regarding this is abundant and clear. But, in comparison with this other trait common to true Christianity, its culture is an incidental, a winsome wondrous incidental. The essential trait goes deeper in, and reaches farther out. Its power to transform personal life stands first and alone. Christianity is not a teaching and a philosophy only. It surely is a teaching. It is a tremendous, a pervasive and satisfying philosophy. All men, and all philosophers, and all nations, that know it gladly burn their incense at the altars of its teaching and its philosophy, the incense of words, and the greater incense of imitation. There is the best of evidence for believing that the directly untraceable tendrils of all other philosophies and teachings run back to the Hebraic roots whence Christianity grew. And this is still true, regardless of the strange unhallowed admixtures in these other systems. By common consent the teaching and philosophy of Christianity clear overtops all others. Yet, be it keenly marked, again this is not the chief thing in Christianity. There is something greater back of this. It is so much greater as to have no second. It’s in a class by itself. Christianity is a thing of more-than-natural, more-than-human, power. It reveals God’s own power in action through natural human channels. There is even a stronger word to add here. Christianity is not a humanitarianism, a scheme for bettering world conditions, simply. It is that, clear beyond what can be told. A simple quick run back in history to pre Christian times, and a quick run out to non Christian civilizations to-day, makes a startling contrast between nations that have come in any degree under Christian influence, near or remote, and the others. Humanitarianism in all its blessed forms, and the unselfish bettering of outer conditions, stand out so big under Christian touch as to seem almost absent elsewhere. Yet the distinct though faint traces elsewhere, even though untraceable directly, bear every mark of springing from the same old Eden Hebrew-Christian rootage. Christ’s humanitarianism is the root actually of all this sort of thing. Yet, a moment’s clear, sharp thinking makes quite plain that these blessed things that have meant so much, and do beyond all calculation, are still — yes, again the word comes — incidentals. They are the sweet, refreshing fragrance of the rose. The rose itself, creating fragrance, and lavishingly breathing it out into the sweetened air, this is quite another thing. The rose is always immeasurably greater than the fragrance it gives unselfishly out to all comers. Christianity itself, in its one outstanding characteristic, is immeasurably more than the humanitarianism it initiates and keeps going. Its singular outstanding trait is its supernatural power, found nowhere else. It does what no other does or can do. It stands solitary and alone in this. And, and, are you listening with your inner ears? And, if and when, it loses this, in our understanding and our teaching of it, the essence is gone. The fragrance is here; the rose is gone. What fragrance there is, is what lingers from past contact with the real thing. :How long will it linger with its source cut off? If and when our Christianity becomes a code of ethics merely, a culture and only that, a teaching and philosophy and nothing more, a blessed humanitarianism and bettering of outer conditions of life, and that simply, the distinctive trait has gone. The rose is severed from the fragrance. The life has gone out of the body, even with some colour in the cheek, and some muscular movements in the limbs. The tendrils are severed from the life-giving roots. The Christian religion has been dragged down to the level of mere man-made religion, so far as the leaders can do that. All these other things, so blessed in themselves, are mere by-products of Christianity, incidentals. One had almost said, trifling incidentals, by comparison, though so invaluable in themselves. Christianity is distinctively, idiomatically, a thing of power, supernatural power, God’s own direct touch through human natural channels. The lustful man is made pure. The slave of evil habit is set free. The thief becomes honest. The trifler becomes earnest, in the hard grip of a noble purpose. The drunkard is sobered, and stays sober. The demon-tortured man knows sweet peace. The diseased is made perfectly whole. Where there had been a man in the house, now there’s a loving husband, and a thoughtful father, in a home. And the shop or store, the neighbourhood, the community, the nation, each knows a radical difference, a new personality, strong, gentle, pervasive, insistent. The religion of the solitary God-Man who died, and then revealed unprecedented and unparalleled power, uncopyable by others, in emptying that new-hewn tomb of rock, it is a religion of supernatural power. It is a power unexplainable except by taking God into account. It makes changes in man. It changes things at the core. Then all becomes changed. All history and all observation and all experience make clear enough that those changes can’t be made by any other than Christ Himself. But Christ does. He only can. Christianity is distinctively a religion of supernatural power. The one purpose of foreign missionary activity is to carry this message of the Christ, to our racial kinsmen across the sea who haven’t heard. It is distinctively the message of a Christ who died as none other did, nor could, nor can, and then lived again through supernatural power, and still lives, with that same supernatural power available to-day to purify the heart, transform the life, and meet every common need. This was the one burning passion and purpose of the early missionary activity, and still is, where the Christ spirit sways. It burns so hotly and grips so strongly that all else seems the merest incidental. There is an “else.” There are incidentals. There are humanitarian activities immeasurably valuable and sorely needed. There are some things worked out by Western science that will alleviate living conditions over yonder. And that sort of thing is surely sorely needed. Yet there needs to be discrimination. And wise discrimination sometimes seems scarce. It is no part of the Christian missionary scheme to transplant Western civilization into Oriental lands. The Orient has a culture of its own, that even some of us Occidentals think fully equal to the best true Western culture, at least, and in some things distinctly superior. If our missionary activity become a mere transplanting of certain features of the Western hemisphere to Eastern and sub-equatorial lands, it at once loses its distinctive historical Christian characteristic. The essence has gone. If the door opened with such sacrifice by the early heroic missionaries becomes an entrance for some common features of our Western civilization, if it become a means of spreading Western skepticism and doubt under Christian phraseology, it is surely the Devil using that door. Such use makes the door a distinct curse, so far. The motive for such sacrifice as the true Christian missionary gladly makes, though it takes his life’s blood slowly given out, that motive is quite gone. The true Christian message lived and taught on foreign-mission soil, in the supernatural power of the Holy Spirit, will work out certain results. Out of it will grow naturally the true Christian culture. And out of that will grow the mental regeneration that will affect daily life and conditions. And our racial brothers yonder will be distinctly better off with none other, except some products of Western science already alluded to. Nowhere is the distinctively supernatural power of Christ revealed more than in this, that men’s bodies are healed. It was so in Christ’s day on earth. It was so in the early Church days. It is so to-day. Christ is still and ever the same. Of course, there is opposition to such a Christ, and to such a religion. It was marked in Christ’s day. It was bitter, incorrigible, malicious, and at last murderous. That opposition hasn’t ceased. It has merely changed its outer form. It has grown more cultured on the outside, but the inside is the same. One phase of this opposition is the teaching that God sends sickness and disease. The bald statement gives an ugly impression of God that stings and stays. It hurts and it lasts. There comes a dread, an inner deep dread of a God of resistless power who actually does such a thing. This is so even among saintly Christians, far more than is suspected. Its practical effect has been to act as a check to the working in men’s lives of that supernatural power of Christ. The hand doesn’t reach out to take what the Pierced Hand is eagerly reaching down to give. There is a deep-seated impression that we cannot ask for healing. We must settle down and make the best of a bad thing. And meanwhile pray to be patient and resigned. Psychologically this becomes an unconscious incalculable influence in actually tightening the hold of disease on one’s body. Practically it makes a hindrance in the working of God’s rare supernatural power in our bodies, and in our lives. “Well, it was her time to go, and so God sent her pneumonia.” The words were spoken quietly, in a matter-of-fact way, and in a tone of finality. They were the answer to my sympathetic question about an earnest Christian woman in the prime of life who had died quite unexpectedly. I wondered if my startled ears heard aright. But my wife verified their accuracy. The woman who spoke the words was an earnest Christian, of much more than average culture. Several of her family circle were college-bred, and the home had an unusual supply of high class modern books of various sorts. In later conversation a neighbour of hers, who did not share her belief in this regard, remarked that such was quite a common thought in all the countryside thereabouts. And in varying degree one finds such impression deep-seated everywhere. And, there are statements in the Scriptures that can be distorted, and disconnected, to give such an impression. That is, I mean, with no intention of distorting, the Scriptures are read in a haphazard, disjointed way, and are quoted without regard to connection. And so such impressions gotten by hearsay are deepened. Let us take a brief look at the Book on this point. There’s a long list of passages that, taken by themselves, at first-flush, do give that impression. But as one reads them in connection with the whole teaching he feels ashamed so to have misunderstood God’s word, and really maligned, though unintentionally, God’s character. When Abraham and Sarah went into Egypt it says plainly, “Jehovah plagued Pharaoh and his household with great plagues because of Sarah, Abraham’s wife” (Genesis 12:10-20). The word “plagues” here plainly means certain contagious diseases common in Egypt. The whole story tells plainly why. God’s plan for the new nation hinged on Abraham, and even more on his wife, and on the family stock being kept pure. It was really an emergency in the human plan being worked out. And the broader story tells the process which reverses the whole impression. Still the impression is there, to the unthinking. There’s God’s dealings with Pharaoh in delivering Israel from Egyptian slavery. One cannot go here into this whole story of judgment on the Egyptians for their conduct toward God, and toward these Hebrews. That’s another story, much misquoted, and often not thoughtfully read, and full of fascinating interest. It reveals in a notable way the natural process God follows in visiting judgment on wrong-doing. But it plainly says that it was through “the hand of the Lord” in direct action that the Egyptian cattle were fatally diseased, and the Hebrews’ cattle immune; the ulcerous boils upon the Egyptians themselves, and so on, through all the plagues that follow (Exodus 9:1-12). There is one exception to be noted, quite distinct from all these others. That’s the story of Jacob’s hip being put out of joint (Genesis 32:24-32). One notes at once that it was not a disease, but a touch that affected the normal action of his body, his walking. It slowed him up, and became a constant reminder that he had been walking the wrong way. And now, though his walking is slower, it is in God’s way, the only right way, and is so wholly because of that strange midnight touch. There is no wasted motion now. It stands out as an exception, at the extreme point of waiting by God, after all other means had failed. Jacob was an unusually stubborn man. It was for service’ sake, and was in an emergency in God’s world plan, of which this man was the human center. Now, there are two things to note sharply here in order to keep the poise, to get things straight and clear. And they are two common things, well understood and emphasized in the pages of this book. The first, and less thing is this, that any break with God takes one away from the protection of His presence, and so automatically exposes him to whatever conditions surround him. The natural thing is keeping in touch with God. His mere presence, in unbroken touch, is a continual protection from ills that surround us. His touch upon us, it is this that keeps our bodies strong, and functioning naturally and vigorously. This teaching is like an ever-present undertone through the older pages of the Book. It was true from Eden on before the main story of the Book was lived out and written down. It is true to-day. This is the continual background of all the Old Testament teaching about bodily conditions. One simple illustration may help. But it is merely one bit from a flood of passages. It is given because it is a picture, pictured teaching. It is an open window into the whole house of the Book. It is the graphically told story of the unnamed prophet in the First Book of Kings (chapter 13). He had been sent to King Jeroboam, in a very critical time, with a message, and with detailed instructions as to his own conduct. Clearly his own conduct in the particulars named was to be an acted-out bit of the message. Another prophet, clearly merely a professional prophet, jealously deceived the man with God’s message, who accordingly disobeyed God’s explicit instructions. Then the unnamed prophet returning home, by the way he was distinctly bidden by God not to take, is slain by a lion. The whole story is dramatically told in much detail of an intensely interesting sort. And is evidently told fully for the teaching it contains. For the whole nation knew the story by the universal grape-vine means of communication, and discussed it from door to door. And the bit of teaching that belongs in just now is simply this: this unnamed prophet, in disobeying God’s implicit directions, had gone out of the protected zone. In touch with God he was in the protected zone. No evil could befall him in the simple path of obedience. He was protected. When he went out of that path he was exposed to the dangers always there. The true natural human life is meant to be lived in simple touch of heart and life with God. Anything else is abnormal, unnatural. 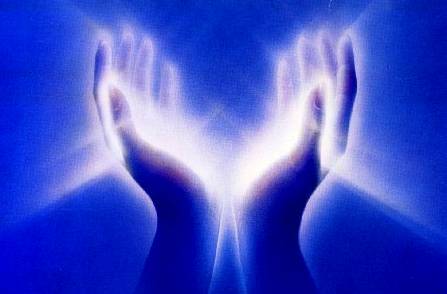 When in touch one is constantly protected and preserved and strengthened, in body and circumstance and life. Break with God, either partial or full, exposes one to whatever there is of evil, and to the Evil One. And, it is an unhappy common place that so many Christians, confessedly, do not live in that full simple intelligent touch with Christ in all their affairs. This is one bit of teaching. It is the background of all teaching in the Old Testament especially. Unhappily it is missed so much in the haphazard, unconnected, choppy reading of the old Book, so common in pew and pulpit, home and study. It is a striking thing that the Bible, taken as a whole, is always self-explanatory Any question raised at any place in it as to the meaning is always answered somewhere else in the Book. And every thoughtful, serious question has an answer here somewhere. If only we would read it, and read it intelligently as a whole, one connected book, it would flood us with its light at every turn. But the second thing stands out in plain open day before all eyes. It is the bigger thing of the two. It is the Book of Job. The story of Job deals directly with this question of sickness and disease, the source, and more the purpose. It stands at the front door of the Bible. It was first of all in its writing. It is put there in plain sight that we might understand at once this sorest of all questions, suffering, and why allowed. It tells plainly that the troubles that came to Job, including his ulcerous boils at the last, came directly from Satan (Job 1:12-19; 2:6-7). Though Job himself didn’t so understand, and ascribed them to God (Job 1:20-21; 2:10). They came distinctly by God’s permission. There were sharply defined limits to Satan’s activity, beyond which he could not, dare not, go (Job 1:12, middle clause; 2:6). There was a purpose of God in the permission He gave. It was distinctly a purpose of love. Then the healing came (see Job 33:15-25; 42:10-17). And the gracious flood of blessing that followed made the days of his earlier prosperity seem tame. That in a word, just now, is the Job story. But the teaching could not be clearer. It answers our present question. It answers it fully and plainly. And the teaching stands at the front door of God’s Book, that all who will simply read thoughtfully may understand. Of course, it must be confessed that reading the Book of God is just a bit scarce, and reading it thoughtfully just a bit scarcer. Put in plain words here is the answer of the Book of God. God does not send disease and sickness. There are five things to be said about their source. Or, they may come directly from Satan, but always through some open door on the human side. Or, they may come through God’s restraint being withdrawn. Or, they may come through the general break of sin affecting the whole fabric of life. Or, there may be a blend of two or more of these. In each ease there must be an open door of some sort on the human side. But, then, the open doors are certainly on every hand in great abundance. So far as the disciplinary side of bodily suffering is concerned, God has no need to send disease. There are plenty of doors of disobedience standing invitingly open to disease. There is no disobedience so common as disobedience of the common laws of health. This is so among the most earnest Christians, the saintliest folk. We seem not to think into the common fact that breaking a law of one’s body, though not against a moral law, yet takes on a distinctly moral quality. The laws of health are God’s laws for the body, as really as moral law’s are His for the life. God’s healing, it will be remembered, is three-fold. There is a protective restraint of which one may be quite unaware. One’s person is protected. There’s a distinct restraint on the disease just at hand threatening. There is the life-giving, health-giving touch upon one’s body, giving vigour and full functioning. And of this touch one is usually quite unaware. The very absence of bodily ills and weakness should be cause for praise. It reveals Christ’s direct touch, where the body is committed to His care. And, then, when sickness or disease actually comes, perhaps through some door left inadvertently open, or otherwise, there may be the positive supernatural healing touch. When one is led to meet some emergency that taxes or exposes the health unduly, special strength will be given. But one should be very clear of his leading here. Once that is quite clear one pushes confidently on, depending on our unfailing Christ for bodily strength, as for all else. But one should guard carefully his bodily doors, as all others. There is a spirit warfare on. And one needs to be constantly on guard. In a wholesome, sane, thoughtful way one should guard all the doorways of his life, of every sort. This is especially true of those wholly in Christian service. John Ruskin tells a simple incident of his childhood days, that illustrates in part what we are talking about. He was present one afternoon when tea was being served. The copper hot-water kettle was bright, and caught the child’s eye. He wanted to touch it, and reached out his hand. The nurse in attendance on the child told him not to. The boy persisted, and the nurse also persisted. By and by the mother said quietly, “Nurse, let him touch it.” He did, for a very brief moment. His curiosity was quickly satisfied. His attention was turned from the kettle to the finger. The child’s ignorant persistence in having his own way, regardless of the expressed wish of those in authority, was deliberately yielded to for a purpose. The restraint was withdrawn. The act of touching the kettle contained its own punishment in the pain that came. The child had learned something. His desire to touch shining copper kettles was satisfied ever after. But some of us haven ‘t as much sense in other similar things. We still want to touch the shiny kettle. God’s commands and laws are never arbitrary. He doesn’t simply want to be obeyed because He has the right to be. Though when you come to know Him, you recognize that this would be quite sufficient in itself. But there’s always a reason for our well-being involved. God would keep us from touching the hot kettle, because it will burn. This principle underlies every law and commandment of God to us. Let us keep in touch of heart and life with Christ, guard jealously all the doors, set our selves to keep in that protected zone of obedience, and, when the need comes, go at once to Christ. Christ is waiting now, at your side, with the touch of supernatural power, to meet every need of body and life. This entry was posted in Bible Teachings, Inspirational Messages and tagged christ healing, god healings, god's word on healing, healing, healing and the bible, healing body, healing disease, healing sickness, jesus heals, jesus the healer, sd gordon. Bookmark the permalink.